Beachlands Bed and Breakfasts. Compare latest rates and Live availability for all your favourite places and places you have always wanted to go using our new My Shortlist feature. Click + to add to your Shortlist. Bed and Breakfasts in Beachlands, East Sussex for 1 night from Fri Apr 19, 2019 to Sat Apr 20, 2019 within 10 miles, in an Average Nightly price range of £1 to £200. A warm welcome and friendly atmosphere awaits you at this family run seafront guesthouse. We have ten bedrooms some with sea views and balconies and a variety of ensuite and standard rooms. All rooms have tea/coffee making facilities and colour TV/DVD player. br / br / br / br / Sea View is situated in one of the finest positions in Eastbourne on the seafront and in a conservation area. We overlook the Pavillion Tea Room gardens on the promenade which is next to the Napoleonic Redoubt Fortress. Within walking distance is the famous pier a bowling green sailing club tennis courts theatres & our new Towner gallery childrens Treasure Island & Fort Fun and also a great fitness and swimming pool complex. br / br / br / br / The Dotto train (March-Oct) runs the length of the seafront and stops right outside as does a bus service that travels to neighbouring towns such as Hastings and Brighton. Eastbourne has a great shopping centre with big high street names such as Debenhams Next Wallis Primark TJ Hughes and many more. Our aim is to make your stay as enjoyable as we can if there is anything you need just ask! We hope to see you soon Adam & Kerry. We welcome you to stay with us in our beautifully situated hotel on Eastbourne s seafront. Our friendly helpful management and staff will make you feel instantly at home. We will strive to make your stay however you want it to be - whether for business or pleasure we have something that will appeal to you. The Langham Hotel is an AA rated four star hotel with 80 bedrooms many of which have views of Eastbourne s beautiful coastline. Our other facilities include a roomy and comfortable bar terrace and restaurant with amazing views of the sea and a conference and function room with facilities for meetings parties and family get-togethers. All public areas are now non-smoking and as from 1st July 2007 the entire hotel will be smoke free. Our entry ramp ensures easy access to the hotel for disabled guests in wheelchairs and electric scooters. For the business traveller we know what you need from a hotel: full English breakfast served from 7.00 a.m. laundry and dry cleaning service dataport and wireless internet connection are just a few of our standard services. Enjoy sea views, varied cuisine and helpful, friendly staff at this comfortable hotel on Eastbourne's seafront. Langham's AA 4-star rated Conservatory Restaurant offers the delightful combination of appealing menus and panoramic views of Eastbourne's coastline. Full English breakfast is served in the morning to provide a positive start to your day. Langham's Bar is a place where guests can relax and admire the views, or enjoy the sea air on the terraces outside. The Savoy Court Hotel in Eastbourne aims to be your home from home on the South Coast of Britain. Our prominent location puts you right in the lively heart of Eastbourne renowned as one of the sunniest towns in the country. You will be only 100 meters from the iconic Victorian pier and seafront and within twenty minutes of Beachy Head and the South Downs national park where you will be awarded stunning views of East Sussex. Eastbourne offers theatres that regularly host famous West End stars and plays which The Savoy Court Hotel can offer discounts on galleries shopping hundreds of bars and restaurants and transport links to London and Brighton as well as historical towns such as Herstmonceux Lewes and Hastings. Furthermore Newhaven Harbour provides access to France and is only a short bus or train-journey away. The building is a Grade II-listed historic town house and the Savoy Court s cosy atmosphere makes it a perfect getaway from hectic city life our recently refurbished bar and garden is the ideal place to relax and enjoy a drink and the restaurant is perfectly suited to private events and functions with its own bar and the ability to cater for up to 60 guests. Our friendly staff always strive to go the extra mile we live on-site so you can be sure of our personal attention to your needs. Excellence of service and the comfort of our guests is our highest priority and we will do everything to ensure that you enjoy your stay. Situated at the seafront end of Devonshire Place ideally positioned between the promenades town centre and theatres. Traditional holiday hotel offering comfortable accommodation 2 bars nightly entertainment spacious lounge areas and attentive long serving team members. IMPORTANT INFORMATION: Breakfast is served between 8.30am - 9.30am. Wi-Fi is complimentary in public areas and chargeable in guest rooms. Two free sessions of 20 minutes followed by cost of �7.00 per 24 hours.The Cavendish Hotel faces the coast on Eastbourne s Grand Parade with many suites and wonderful views of the English Channel. Cavendish Library is a quiet relaxing space to read or enjoy coffee. There is a choice of guest lounges and Wi-Fi is available throughout the building (for an additional cost). Free Wi-Fi and parking is available at additional charges. Marine Restaurant looks out to sea and serves local produce in pleasant surroundings. The bar overlooks the beach and serves a popular lunch menu. The hotel is 10 minutes walk from Eastbourne s shops and the Arndale shopping centre. Eastbourne Rail Station can also be reached in 10 minutes on foot. 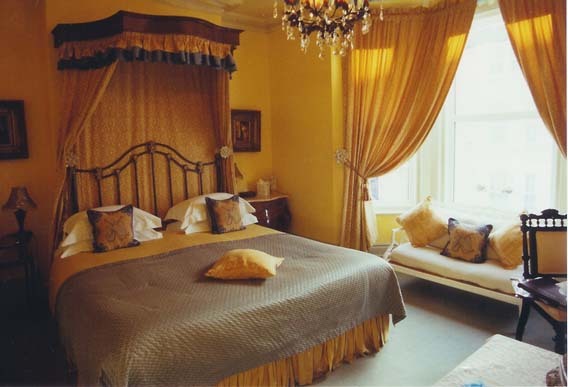 Set on Eastbourne s Grande Parade this Family Run Victorian seafront hotel is close to Eastbourne pier railway station and Town Centre. The Albany Lions offers 60 traditional en-suite bedrooms Free Wi-Fi and stunning sea views from the bar and lounge areas. The hotel has a high reputation for its friendly and welcoming service. Relax in the Albany bar and lounge and enjoy a large selection of beers spirits and fine wines while surrounded by panoramic sea views. The Albany Lions Hotel offers 60 en-suite bedrooms all beautifully decorated with colour television sky free view channels hairdryer hospitality tray and direct dial line. Most rooms have fridges and an iron/ironing board will be available on request. There is a lift to all floors making it easily accessible and a stair lift up to second floor. A menu from Executive Chef compliments the many beverage options with light fare and small plates to share. Room service is available during limited hours. Business amenities include wireless Internet access around the reception area meeting rooms for small groups and business services. Located near the seafront, The Ellesmere is opposite the Winter Garden, Eastbourne College, Congress and Devonshire Park theatres. It offers free parking, free Wi-Fi, en suite rooms and full English cooked breakfasts. All rooms at The Ellesmere feature TVs, DVD players, tea/coffee facilities, and hairdryers. Facing the gardens of Wilmington Square, The Ellesmere is just a 13-minute walk to Eastbourne's pier, town centre and train station. The Ellesmere has a large park-facing lounge with it's own licensed bar. There are also on-site holistic salon facilities, with available relaxation treatments including Indian head massage and new hot stone massage therapies. Evening meals are also available. The Ellesmere has a 5-star food hygiene rating. Set in picturesque East Sussex, The Sussex Hotel is just minutes from the stunning Sussex Coastline. The hotel offers home-cooked food, cosy bedrooms and free parking. The contemporary cafe-bar serves a classic British menu for light lunches and evening dining. The bar offers a range of beverages and snacks, and hearty breakfasts are available daily. The newly refurbished rooms at Sussex Hotel each have a private bathroom with a hairdryer. Rooms also feature a TV and ironing facilities, and all are traditionally decorated. The Sussex Hotel is in the heart of Bexhill, which is the birthplace of British motoring. Bexhill's sandy beach and De La Warr Pavilion are a 20-minute walk away, and Hastings is a 10-minute drive. The English Wine Centre celebrated its 50th Anniversary in 2018 and offers a unique combination of excellent food great English wine and comfortable stylish rooms in a quintessential English environment. br / br / New in 2011 the Green Oak Lodge offers five beautifully appointed spacious luxury en-suite bedrooms br / br / There are two twin rooms two double rooms and one super-king size double room. br / br / Disabled guests have a lift to the first floor and our Red room has a descretely adapted wet room. br / br / We are delighted to have be recommended in The Good Hotel Guide Great Britain & Ireland. br / br / The stylish accommodation has been furnished in the eclectic style of an English country house with contemporary fabrics selected from leading names including Andrew Martin Osborne & Little and Mulberry. br / br / Adding a special touch each room contains a specially commissioned original painting. br / br / The Green Oak Barn is set in beautiful landscaped gardens designed by the 2010 RHS Chelsea Flower Show Gold-winner Roger Platts. br / br / All rooms feature Hypnos beds dressed in soft linen to ensure guests enjoy a comfortable night s sleep. br / br / The en-suite bathrooms feature either a shower or bath and shower. br / br / Free Wifi Freeview TV hairdryer refreshment tray iron and ironing board and complimentary bathroom toiletries by Baylis and Harding come as standard. br / br / In the morning enjoy a 3 course continental or full English breakfast with fruit juice and tea or coffee served in the Flint barn restaurant or in your room. br / br / Why not visit our acclaimed Flint Barn Restaurant to sample our excellent seasonal English menu. br / br / Why not visit our wine shop which stocks over 150 English wines or better still book a wine tasting. br / br / Special discounts for hotel guests.